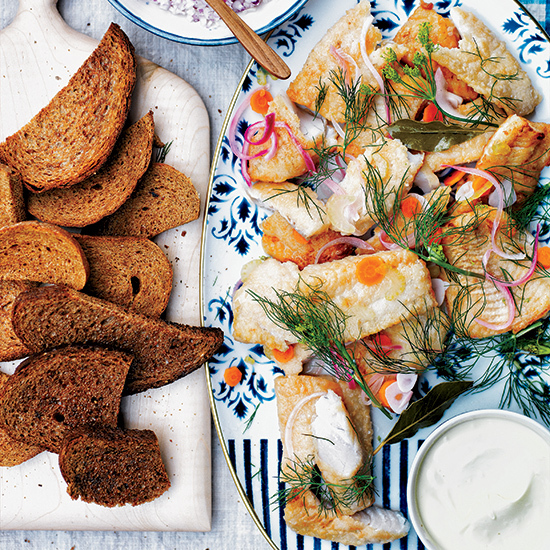 Pickled herring, cured salmon, meatballs and rye bread are all staples of Scandinavian food, popular in countries like Sweden, Norway and Denmark. Lingonberries, rhubarb, strawberries and apples are commonly eaten fruits in this region, and cheese, like Jarlsberg, is also popular. 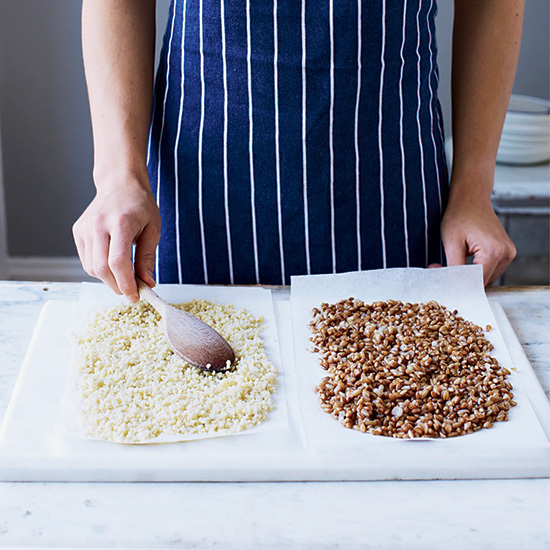 Swedish chef Magnus Nilsson emphasizes sturdy vegetables like onions and cabbage, iconic fish like herring and gravlax, and cardamom-flavored sweets. He traveled around Scandinavia for three years collecting recipes for The Nordic Cookbook, including Norwegian-style fish cakes, potatoes hasselbacken and Swedish sugared pretzels. Whether you’re an expert in Scandinavian cuisine or want to branch out beyond Ikea’s selection, try one of these recipes tonight. Baking powder is the secret to the airy texture of these crispy, fluffy fish cakes. This soup, adapted from The Nordic Cookbook, has the rich flavor of creamed spinach but a much lighter texture. This delightful potato recipe is named for the place it was invented during the 1950s, a Stockholm restaurant turned cooking school. The key is to baste the potatoes with butter before roasting them. 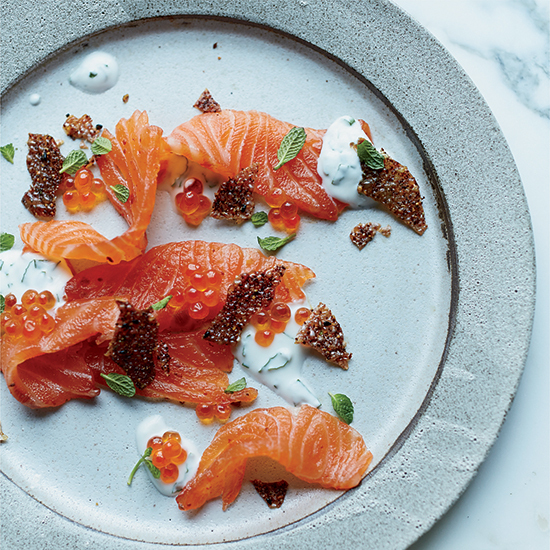 This starter from chef Tom Douglas is an almost-instant take on gravlax. While the thinly sliced fillet gets a 30-minute cure in salt, sugar and Aleppo pepper, the skin is baked until it's as crisp as a potato chip. 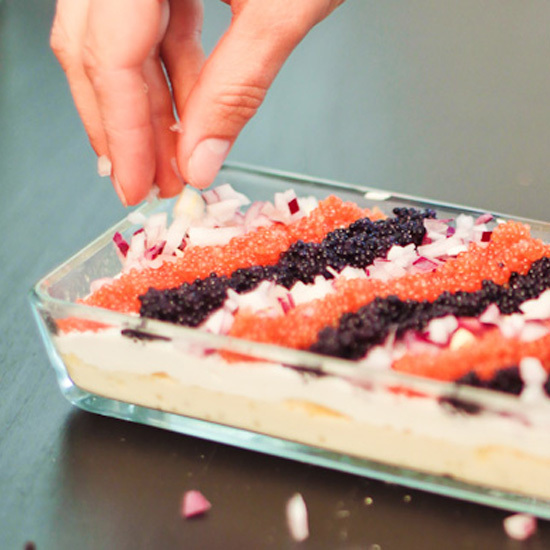 This caviar "cake" is actually a simple chilled custard that's topped with creme fraiche, onion and two types of caviar. 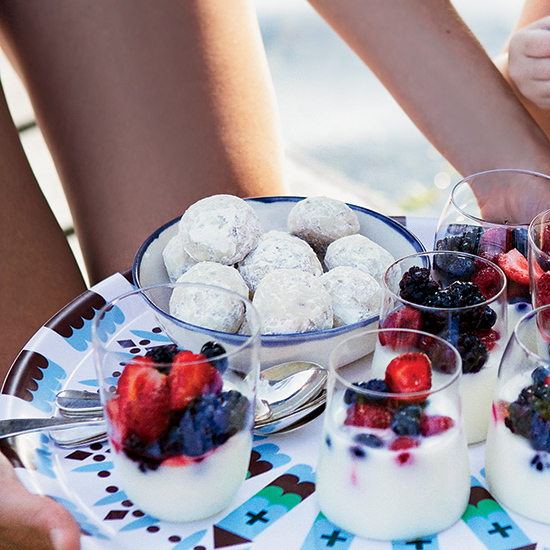 Malin Elmlid's family in Sweden serves this at every holiday smorgasbord, including Christmas and the summer solstice celebration known as Midsommar. Scandinavians brought the technique of pickling delicately fried seafood (a form of escabeche) to Minnesota and swapped the Midwest's freshwater catch for North Sea herring. Seasoning the fish with vinegar, sugar and spices adds great flavor and firms up the texture; it's an overnight process, so plan ahead. A coating of butter and sugar makes these tender pretzels especially delicious; they're excellent with tea or coffee. Unlike most shortbread cookies, these are made with whole wheat, which gives them a nice, toasty flavor. The recipe for these smor bullar--light, crumbly pecan cookies similar to Mexican wedding cakes--comes from the terrific Swedish cook Marge Peterson. Tory Miller uses a blast freezer to preserve local produce in the and . 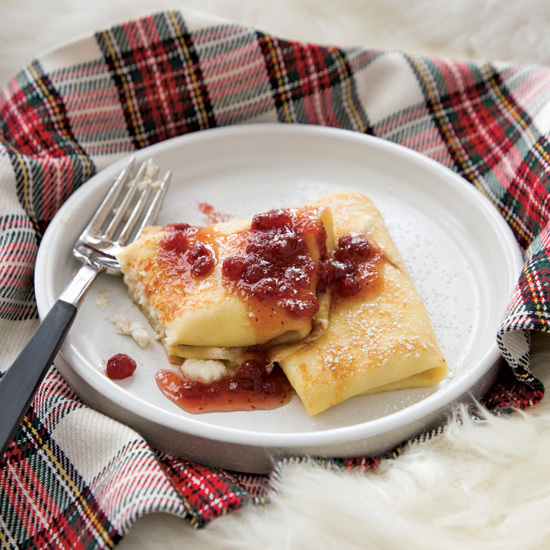 The device rapidly freezes foods before large ice crystals form, minimizing damage to fresh vegetables and fruits, including the lingonberries he simmers in maple syrup for these blintzes. Lingonberry jam makes a fine and much easier-to-find substitute. Master baker Lionel Vatinet makes this dense, super-flavorful bread with locally milled rye flour.